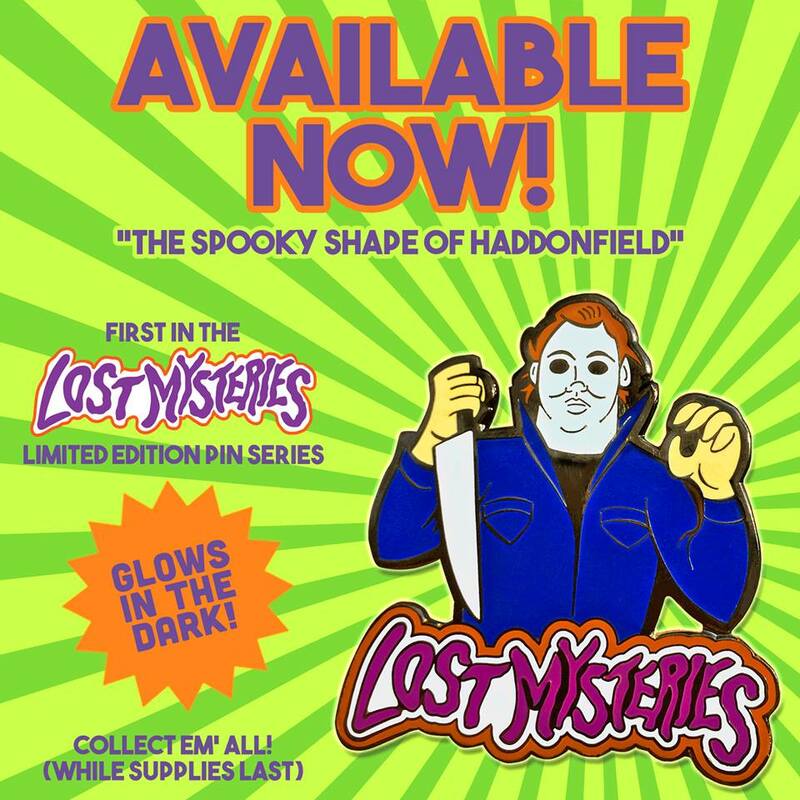 IBTrav Illustrations released the first in a new collection of limited edition Lost Mysteries two-inch enamel pins this week, featuring “The Spooky Shape of Haddonfield”, as Michael Myers is depicted in IBTrav’s signature style as one of the classic villains from an animated episode of Scooby-Doo. Earlier this week, IBTrav officially released the first in the Lost Mysteries pin series, limited to just 100 pins made, and, as of this writing, there are still a few available on his website, available to order online for $12 here. The pin even glows in the dark, and each order ships with a special Lost Mysteries sticker. IBTrav (Travis Falligant) has earned a name for himself in recent years by taking well known horror icons and placing them into a Scooby-Doo-inspired animated setting, and the results are always awesome. as you can see our gallery of some of our favorites among Falligant’s art below, and then check his Facebook page for lots more. ← Art The Clown Returns in Creepy ‘Terrifier’ First Look!